It is hard to believe, but, last fall I competed for the 7th time at the FCI Agility World Championships in Sweden. My six prior years were 2007-2012, when I had the honor to proudly represent the USA with my Sheltie, Wave. And, this year, I was proud to represent for the first time with Stripe. Now, it would be easy to think all the years with Wave would have dulled my experience with Stripe. But, they had not, as no two years were ever alike. Each one was unique always offering different teammates, countries, judges, courses, arenas, agility competitors, good runs, bad runs, supporters, sights, landscapes, foods, weather conditions, hotels, transportation, and, so, the list goes on and on. And, of course all of them have left me with a life time of incredible memories. This article is reprinted with permission from ConsumersAdvocate.org. You can find the original Consumers Advocate article at this link. 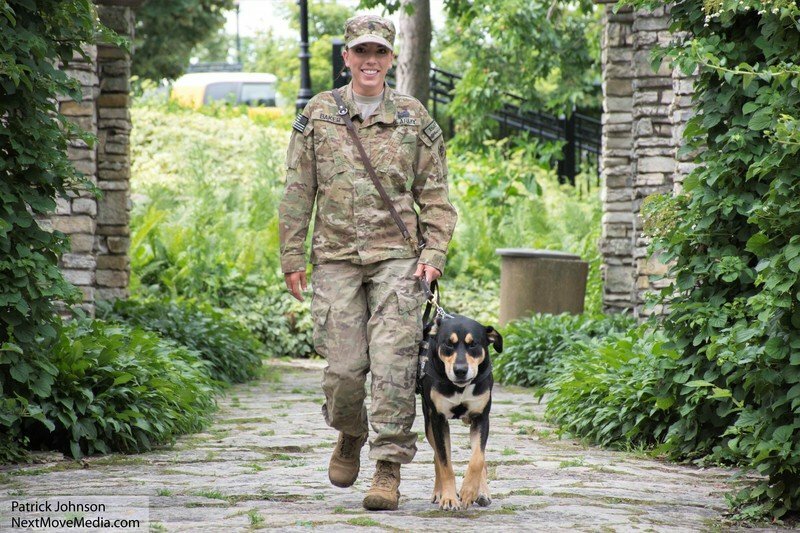 A K9 handler’s leash should ideally be wrapped around the handler’s waist and secured when not being used so it can easily ride above the gun belt, not interfere with access to the handgun and other equipment on the gun belt, and be readily accessible when needed. If not wrapped around the waist, the leash should be stored in a pant pocket where it can be quickly retrieved by the handler. Ahead of the 11th Annual K-9 HITS Handler Instruction and Training Seminar in San Francisco, California in August, I wanted to provide some canine public relations information and ideas and some helpful tips for establishing a charitable fundraising organization for you canine programs. Should you use real drugs or pseudo drugs to train your dog? For court purposes, using real drugs is always better. Drugs that have been qualitatively tested to be cocaine for example, and not some other additive will make a better court presentation. I participated in a study with Dr. Kenneth Furton in the mid to late 90’s. Dr. Furton was determining if a dog’s indication to currency was usable in court to prove the currency’s direct contact with cocaine. The belief at the time was that all currency was contaminated with cocaine and that any such indication was useless. When properly used an Electronic collar, or E-Collar, is in my opinion one of the best tools you can use to train and handle a patrol dog. When used incorrectly it can be one of the worst tools in our arsenal. I have trained hundreds of dogs all around the country on the proper use of an E-Collar and see many of the same mistakes. I share these ideas to assist you in looking at your own training to see if you too are guilty of any of these common E-Collar mistakes. To write an article explaining the proper use of the E-Collar would end up as long as a book, so this is in no way a comprehensive ‘how to’ manual. Visit the Ray Allen Manufacturing Youtube page to find in-depth product descriptions, interviews with industry experts, product comparisons and informational product overviews. To keep up with professional K9 handler news and our latest product releases, subscribe to our Youtube page and you'll receive immediate notifications when a new video uploads. I constantly see police dogs who lack a lot of confidence in the patrol and apprehension phase of their work, as well as dogs that will take very little real pressure from a man while they are engaged in a fight. I believe that most of these issues could have been avoided through proper K-9 selection in the first place because a lot of these dogs are simply not genetically cut out to do this type of work. However even if the young green dog was properly selection tested and proved to have the genetic qualities required to make a strong street dog, often times the trainers lack the skill and ability to bring out the dog’s true genetic potential. There are very few dogs, regardless of genetic makeup who will bring a fight to a man and stay engaged in that fight regardless of the amount of personal, environmental, and physical pressure that man brings to the dog, without first receiving proper training and learning to develop that skill set. After talking to many handlers around the country it appears that in some cases training has become a necessary evil, a time filler, or to some a waste of time. To them it has become boring, for various reasons; it’s the same old thing, nothing gets accomplished, or they feel that they just do not need it. Handlers then start to find reasons not to come to training, or find reasons to leave early and to not participate in exercises. How did training get this way? You will never find the one and only answer. It is something that just evolves over time and soon takes on a life of its own. I have a suggestion. Let’s not focus on how it became this way but how to change it. Digestibility determines how much nutrition a food provides in a given volume, while palatability affects how appealing a food is to the dog. Both of these characteristics are important criteria when selecting the best food for your dog. What Are Digestibility & Bioavailability and How Are They Measured? A food’s digestibility is the collective proportion of all nutrients in a food that is available to the dog for absorption from the intestine into the bloodstream. Nutrient bioavailability is the proportion of the absorbed nutrients that are carried to target tissues and are available for use by the body. Because a highly digestible food provides a higher proportion of absorbed nutrients than a less digestible food, digestibility provides one measure of a food’s nutritional value and quality. In general, as the quality of ingredients in the food increases so will the food’s digestibility and nutrient bioavailability.